Playing good old-fashioned games with friends is surprisingly fun and takes very little planning – all you basically need is snacks, drinks and of course your favorite board games. For game night success serve small bites that guests can grab between turns. 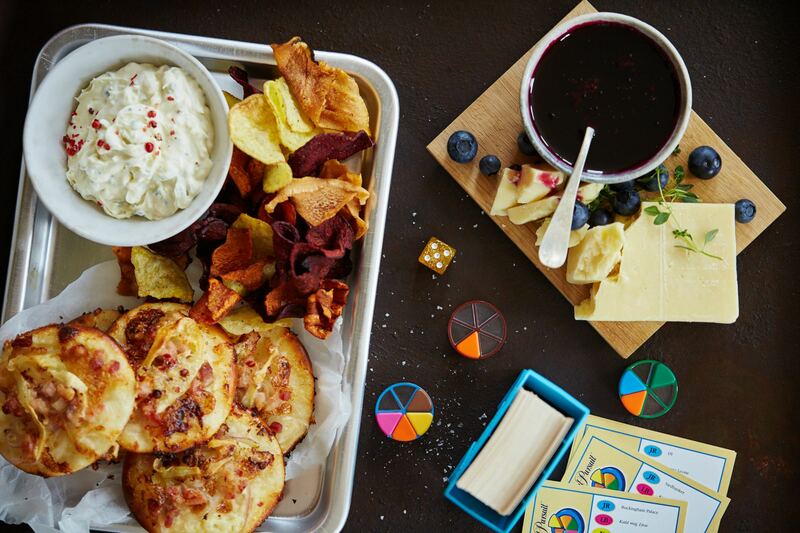 Ranging from sweet to savory here are 3 great Game Night snacks that will spark conversation and give your guests the energy they need to compete all night! For game night you can never have too much dip! And why not go for something a little out of the ordinary? This flavorful blue cheese dip with Castello Creamy Blue is easy to make and can be made ahead of time. 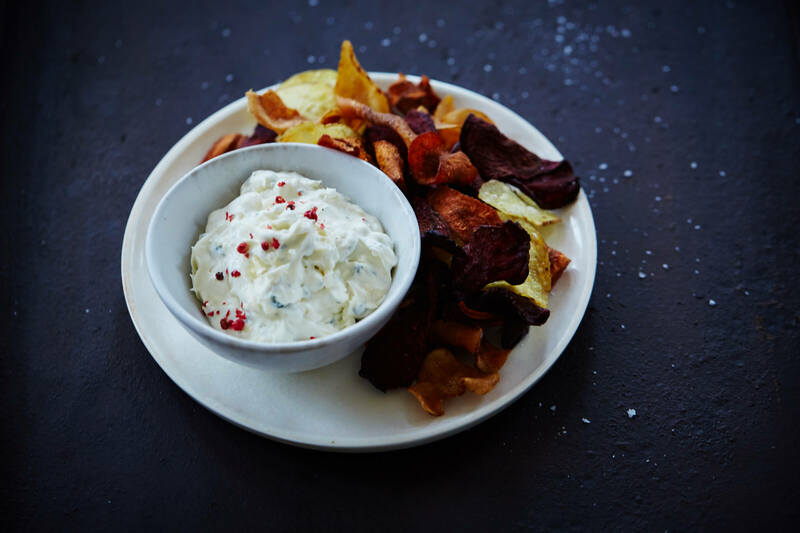 Serve with potato or root vegetable crisps. Do you like mini pizzas? 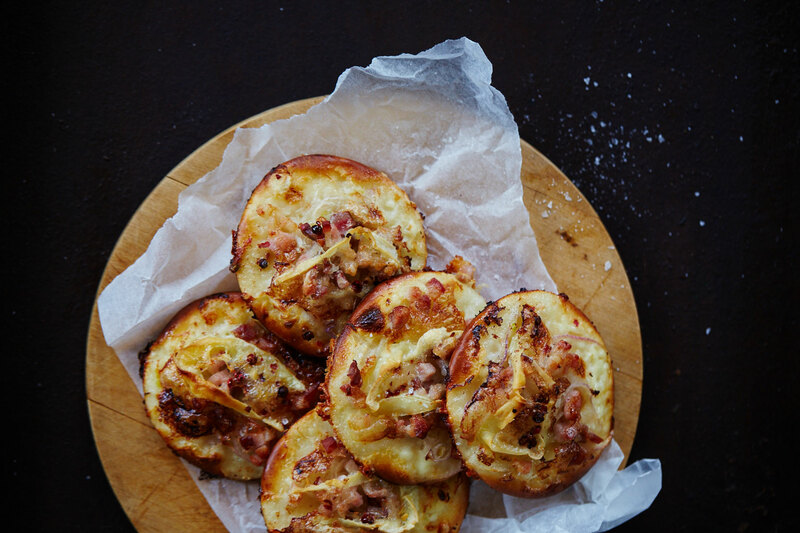 Then you will certainly also enjoy these small German tarte flambée stuffed with bacon, onion and Castello Creamy White. We don’t want food interrupting the flow of the game and these portion sized tarts are perfect to eat with one hand. Who doesn’t enjoy a bit of sweetness after some savory snacks? 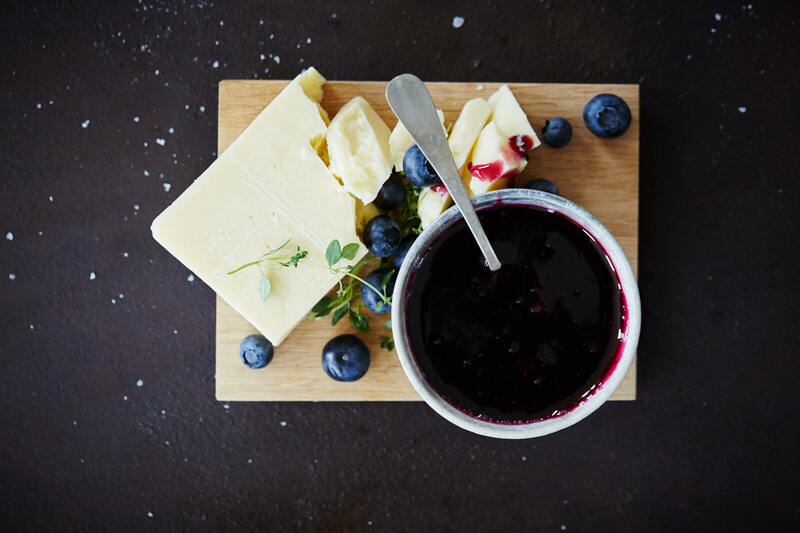 This delicious blueberry syrup with a little lemon thyme is a delicious match with the rich and slightly crystalized Castello Matured Cheddar.